Mojo! is a 3D puzzle game played with a series of colored blocks suspended in space. Players control a ball in an attempt to smash through the blocks. All stages are timed, and players can only smash blocks of the same color, requiring them to roll to special areas to change the ball into the correct shade. To succeed, players must quickly plan each move in advance so as to clear the stage using as few moves as possible. 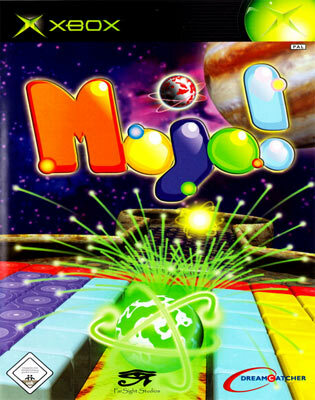 Each move reduces a player’s available Mojo, which can only be replenished by collecting the specific number of Mojo blocks needed to advance to the next stage.